Accuratus is the brand name of Ceratech Accuratus Limited and we are now celebrating 34 years experience in the industry of manufacturing and distributing PC input devices, including computer keyboards and mice. This covers home, office, retail, EPOS, industrial, medical & clinical keyboards along with an extensive range of mice, magnetic swipe and smart card products. Over the last 20 years, Ceratech established its own brand name to cater for the growing needs of the company. The name 'Accuratus' was established and is now widely recognised both in the UK and Europe. 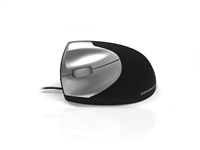 Ceratech have a long history of providing keyboard and mouse solutions for OEM customers. With attention to detail and working closely with manufacturers, Ceratech will often influence the design, function and packaging. We have a range of additional products which are designed to represent well known brands in areas including EPOS, POS, Retail, Medical, Industrial and Education. If you want to know more about our OEM keyboard and mouse solutions, please contact us.